Partners Michell Nader and Julián Garza participated in the Latin Lawyer Reference chapter on Banking and Finance. 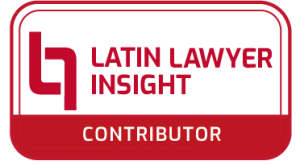 Latin Lawyer Reference provides answers to key legal and regulatory questions in Latin America on major practice areas. It provides insight in over twenty practice areas, across the region. The interactive format allows for quick-and-easy comparisons across jurisdictions.